I recently finished this kite shield for a client and I hope you like it. The shield then had a rawhide edging tacked in place with forged nails. The strapping is in veg tan and riveted in place, again with forged nails and arm pad is in loosely quilted linen. 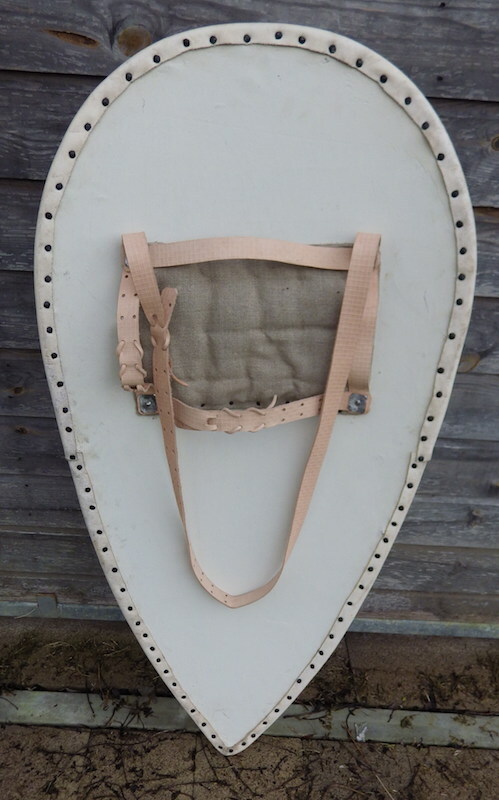 The straps are set to be adjustable and the shield can be held with the arm in two positions and the guide strap can also be adjusted to length for foot or horse combat. 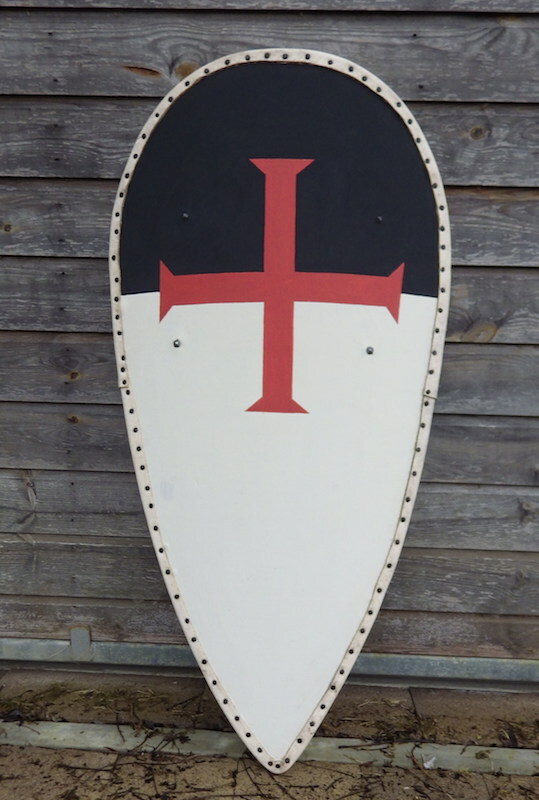 Finally the shield was painted in Templar colours. 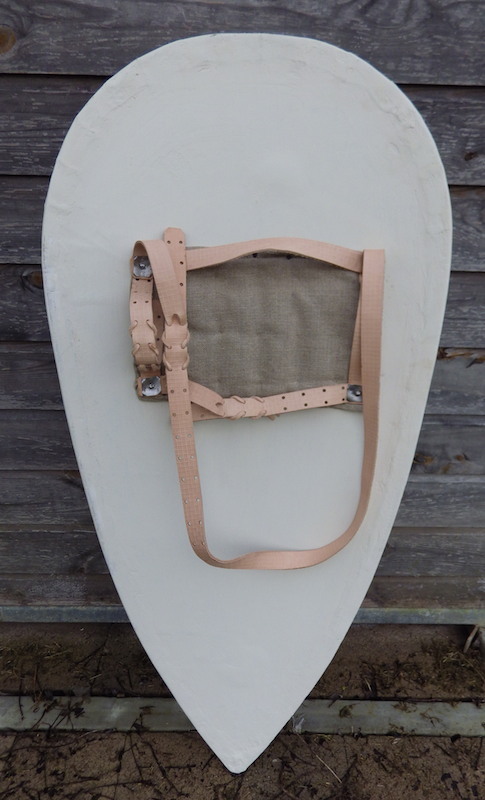 I made a second shield at the same time that is also harnessed, but without a rawhide edge, as they did not always have this feature and it has been painted with a base coat only. 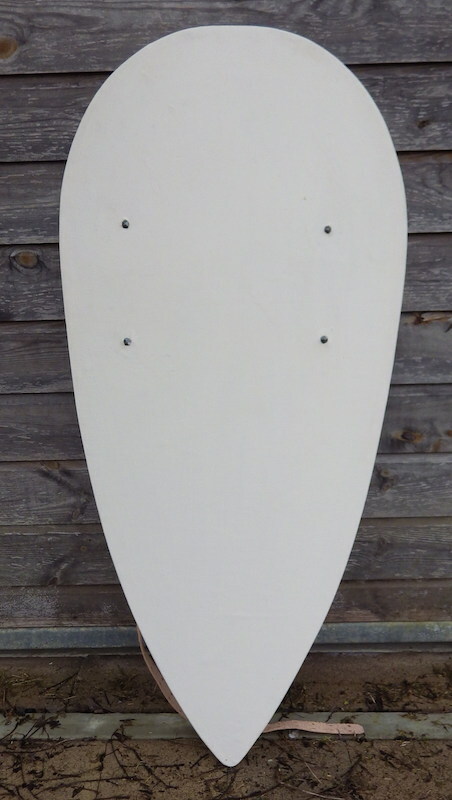 The unpainted shield is for sale. As always, fantastic work. Thanks for posting! I do like making shields - just don't get to make that many. It's very nice Tod, I like the Templar colors on that. Both shields look very well made. Somewhat as a matter of idle curiosity for now, but probably could help me out later is I wonder if you send shields overseas and how much that has cost in the past? Seems like a very large and expensive item to ship!